Cutia Taranului („Peasant Box” in Romanian) gives you access to good local food by introducing you to producers who are able to offer you a “box”. A box provides you with a good quantity of diverse produce to feed you and your family. Boxes are fixed in price and contents (you cannot choose the contents of the box) though contents may change with the seasons of the year. In addition to the box itself some producers offer supplementary products which you can order to have delivered together with your box. Boxes are delivered by their producers directly to you. Some boxes are delivered once a week. Others are delivered once a month or every few weeks. A few boxes are specially made for holidays and delivered only once a year. When you join a box you enter a long term relationship with a producer. Cutia Taranului is not a place for one-time food shopping. 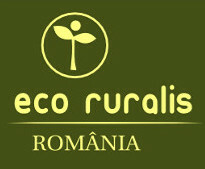 The website is mostly in Romanian. If you need help crossing the language bridge please feel free to contact us and we will do our best to help you find your way. You can also catch glimpses of the story that guides Cutia Taranului on the English blog.